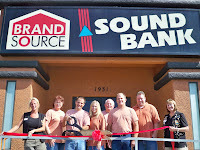 Sound Bank celebrated 25 years with the Chamber of Commerce with a ribbon cutting ceremony by the Lake Havasu Area Chamber Ambassadors. 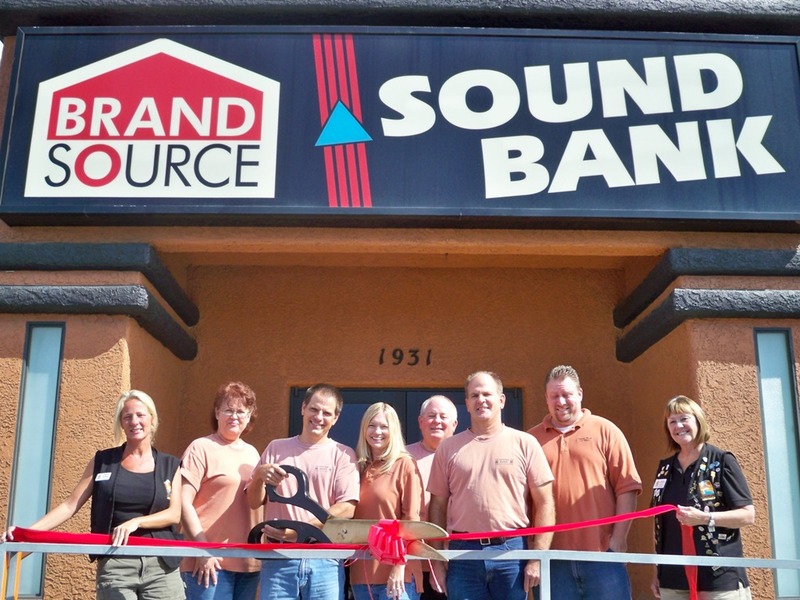 Located on Lake Havasu’s main street at 1931 McCulloch Blvd., Sound Bank is conveniently located to serve the community. On hand for the ribbon cutting from left to right are: Jennifer Whetten, Ambassador, Peggy Adams, Service writer, Dennis Englert, CEO/President, Lydia Englert, Secretary/Treasurer, Abbie Englert, Jr. VP, Deither Englert, Technician, Chris Deacon, Sales, and Kathie Schuler, Ambassador. For more information contact Sound Bank at 855-1129 or stop by the showroom.